Muzso is a full service supplier of tailored audio solutions for retail stores. We supply a unique solution from custom music playlists powered by Sonicsense to amplifiers and invisible loudspeakers. Each element is designed to create a rich and enjoyable audio experience for your customers. Music enhances the sense of quality and style in all retail outlets, and a good solution ensures that your products are enhanced by music. Muzso is the retail audio solution specifically designed for your needs. This is all we do and we do it well. The music that is played in your store tells customers something about your brand. Music that works with your brand falls back to become true background music, but this is not easy. You need to choose songs that match the age group and style of your customer. Are they young and music conscious requiring the latest hits, or are they customers that know what they want and want what they know? If so then a classic music style from the 60's or 70's might be required. Genres can tell as well. Reggae and Bossanova are beach style, while Jazz is timeless cool and yet new artists bring a contemporary twist. Sonicsense tailors a specific playlist for your brand, updating it regularly so it is always fresh. Save license fees by ensuring that only music licensed from CASH and HKRIA is played and avoid any unnecessary expense. Sonicsense can save you money. As important as music is to the retail experience, anything that detracts from the visual style of a store is only going to reduce the effectiveness of the design. Muzso features Stealth Acoustics Invisible Loudspeakers in our projects. These loudspeakers are truly invisible, installed into the ceiling and sealed into place you can not see them. The remarkable effect is sound without vision, audio without clutter. Stealth Acoustics is the end of aesthetic pollution. Each system is tailored to the client. Large and small installations each have different requirements. Muzso reviews the store layout, materials, ceiling height, and the type of customer to develop a comprehensive design that fits that location. The design determines the requirement and sets the budget, then the equipment is specified and the interface with the contractors is determined. For the most part the simple design means that your contractor can install the cables and loudspeakers saving you money. At every step of the way coordination with the client, the contractor and the designer is important to ensure that all aspects of the installation are successful. This means projects meet or exceed expectations without surprises. 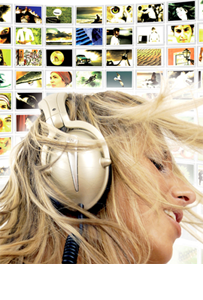 Ongoing management of the music playlist ensures that the result continues to be fresh and up to date. The result - the best audio that enhances your customer's retail experience. The Muzso team works with your retail designer to obtain all of the relevant information, materials, height of ceiling, spatial arrangement, and style of store, to match the design of the store with your requirements for audio. 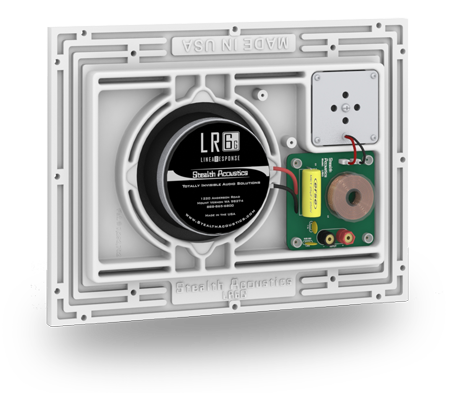 These parameters set we establish locations for the amplifier and Sonicsense music sources then layout the loudspeakers to optimise acoustic performance and sound pressure levels resulting in a smooth rich audio experience. In order to install the equipment Muzso works with the general contractor and electricians so that labour costs are reduced for the basic cable infrastructure install and trade works. Training is given to ensure the best installation. Once the loudspeakers are installed and tested we commission the amplifiers and the Sonicsense music source. The playlist is setup and tested and any revisions begun. The selection of the music is an ongoing service included in the plan. Gucci in Hong Kong and Macau installed Stealth Acoustics LR6g loudspeakers throughout their stores, retrofitting existing stores as well as installing them in brand new stores in Macau. The impressive result has enhanced the upgrade of their stores to a remarkable degree. Tommy Bahama installed Stealth Acoustics loudspeakers in part of their Hong Kong flagship store in Wanchai, and installed the SonicSense music playlist throughout Hong Kong and Macau. The hip young style of Tommy Bahama demanded excellent audio and music. The Peninsula Boutique in the famous hotel was newly renovated but something was not quite right - until Stealth Acoustics replaced the old loudspeakers, now the elegance synomynous with The Peninsular is restored. Retrofits can work wonders to existing stores too. When Omega wanted to open their store in Tsim Sha Tsui East they wanted to lift the quality and elegance of their store to the same level as their outstanding watches. Stealth Invisible Loudspeakers in the store and VIP areas do just that. Perfect precision meets aesthetics. Thanks for contacting the Muzso Team.